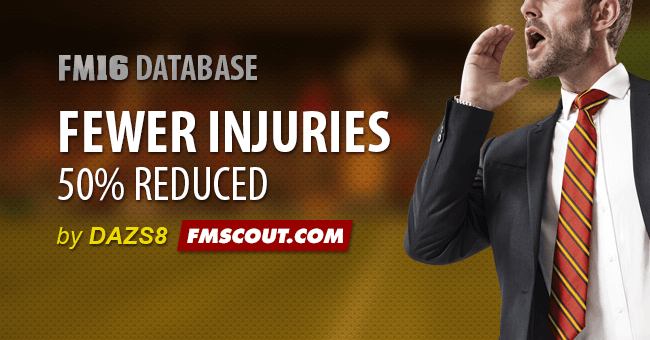 If you're struggling with injuries and feel it's unrealistic for you, this FM16 database is what you need to encounter 50% reduced amount of injuries in your game. anyone wants to help there ? I download from steam a editor for fm 16 and now i want to create a database file No injuries ,how to create ? please tell me if u know!